Freshly Toasted Ground Cumin - Worth the Effort! - Wholly Delish! 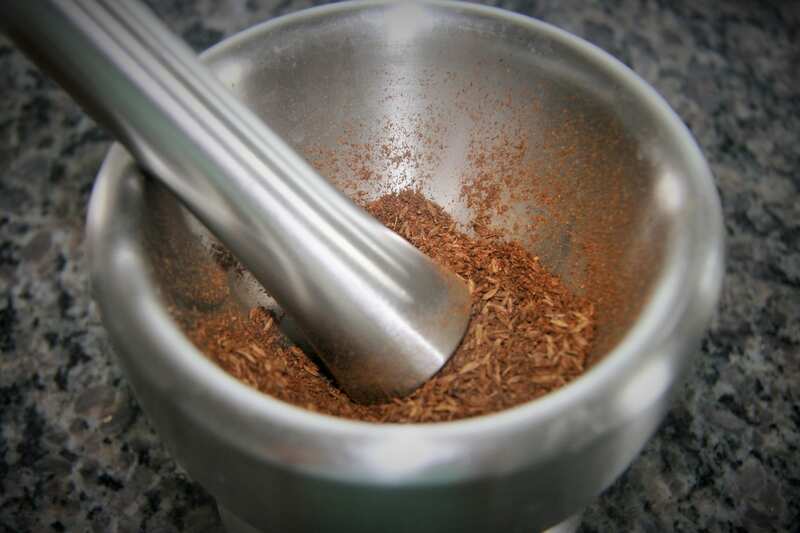 A theme across many of my posts is my insistence on the use of freshly toasted ground cumin. It’s really not much work and it really pays off, bringing a deeper toasty aroma and flavour to any dish! Simply dry toast cumin seeds in a small pan, tossing frequently, until slight browned and giving off a distinct aroma. Grind using a mortar and pestle. Store in a tightly sealed spice jar and use for a few weeks – replace with a fresh batch when the ground cumin no longer maintains a strong smell. Not convinced it’s worth the effort? Last year my sister tried out the Curried Sweet Potato Salad recipe and told me she thought it was a bit bland. I was flabbergasted. Everyone I’d ever served it to loved it and it had been one of my most requested recipes. I asked her about the cumin. She admitted to using store bought ground cumin. Ah ha! That explained it. It that recipe, as with so many others, the freshly toasted cumin makes all the difference! One Response to "Freshly Toasted Ground Cumin – Worth the Effort!"